EMI Solutions Filtering Option Types | EMI Solutions Inc. Explore the various filtering option types to mitigate EMI problems. What are the option types of EMI filtering? There are a multitude of configurations designed to mitigate EMI problems contingent on specific system requirements though all reside within a single subset of electrical engineering. Filter products, which are added to a system to help eliminate noise are considered “Low Pass” filters. “C” filters are the simplest, most straight forward solution. They are built with a single decoupling capacitor from the pin or signal line to Ground. 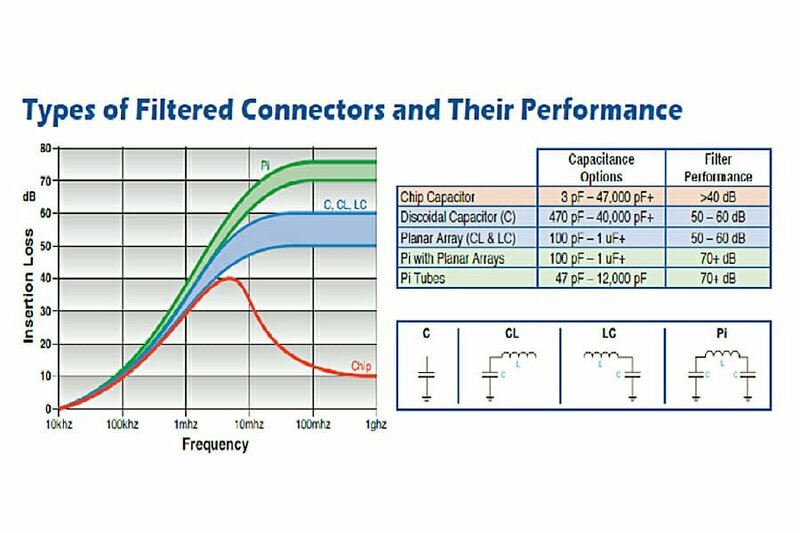 “LC” filter circuits are most effective when the source impedance is less than the load impedance. 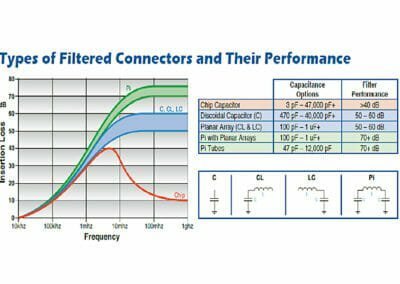 “CL” filters are best suited in circuits when the load impedance is less than the source impedance. “CL” or “LC” filters provide additional filtering as they are built with a single capacitor to ground and are coupled with an inductor or “choke”. This enhances both the filtering effectiveness of the decoupling capacitor as well as the filtering associated with the impedance of the inductor. Pi filters, built with two decoupling capacitors separated by an inductor, effectively trap the target “noise” and provide superior higher frequency filtering performance. In other words, these items allow the passage of data in the lower frequencies while blocking or eliminating higher frequency signals. Low pass filters come in a few implementations: C Filters, CL/LC Filters and Pi Filters. It should be noted that grounding is the most important aspect of any good electrical system, excellent ground conductivity is required for filters and filtered connectors to work properly. 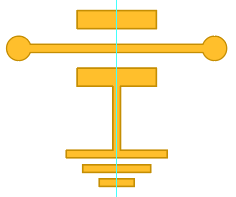 These designs assume that the enclosure/bulkhead to which they are mounted is a “Good Ground” which provides a low impedance connection path to the system ground. The capacitance of the filter must be selected so that it does not interfere with or “clip” the edges of the data signals. Additionally, the type of filter selected must meet the frequency spectrum of the noise being addressed. In other words, does the filter only need to eliminate a narrow range in the frequency band where the noise exists, or does it need to operate more like a broadband filter blocking a wide frequency range up into the GHz range? Find out why EMI Solutions is the leader in the field of EMI filtering products. © Copyright EMI Solutions, Inc. All Rights Reserved. Join our mailing list to receive EMI Solutions latest news and updates from our team.